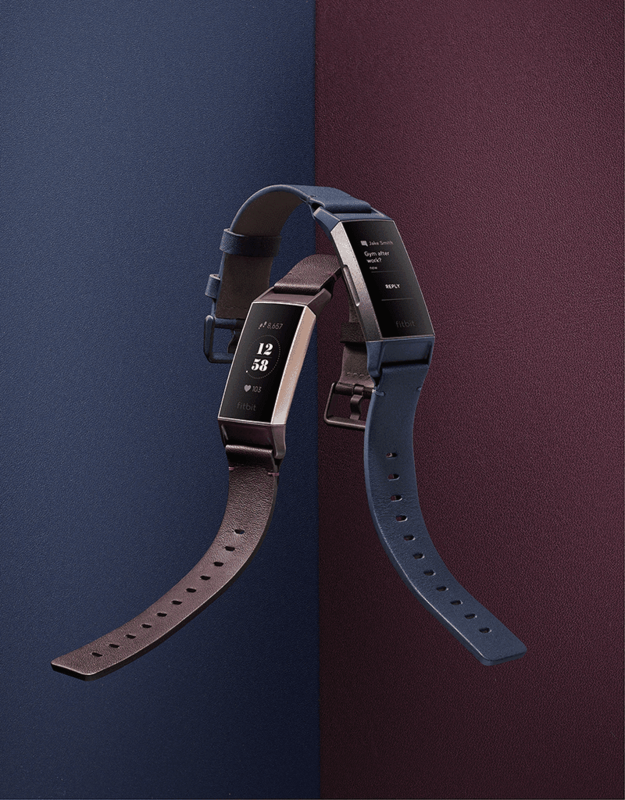 Fitbit just launched the Charge 3, the successor of the Charge 2 last year. It now has an elevated swimproof design, more advanced health and fitness features, and up to 7 days battery life. The Charge 3 is crafted using a lightweight aerospace grade aluminum case, different types of bands, and a Gorilla Glass 3 protected touchscreen display for increased durability and comfort. The swimproof and water-resistant design can survive 50 meters deep ocean saltwater. Fitbit also claimed that the touchscreen panel they used is now 40 percent larger and brighter than its predecessor. It offers a more intuitive and easy access experience inside the tracker. It now has more space to add more sensors and a larger battery life. Last year, the Charge 2 has up to 5 days battery life. Now, the Charge 3 has up to 7 days of use. According to Fitbit, it is also their smartest tracker yet. It has over 15 goal based exercise modes, essential smart features, and the company's most advanced sensor and algorithm technology in a tracker. It now has playful animations and expressive graphics designed to surprise and delight. It could help you celebrate milestones and stay focused on hitting your next goal. The Charge 3 now has and improved PurePulse heart rate tech with better accuracy and SpO2 sensor which can estimate relative blood oxygen levels and help track new health indicators, like sleep apnea. It also has the Swim Mode or SmartTrack function to see the laps and pace in the Fibit app after your swim. Like other newer-gen Fitbit devices, it has GPS to track real time pace and distance and menstrual cycle tracking (for females). Fitbit claimed that Run Detect for auto pause and stop and ovulation tracking functions are coming soon. Other health metrics like female health tracking, hydration, sleep, weight, and more will be available soon as well. The Charge 3 will come with a wide-range of accessory options. It'll come with the likes of a refined polygonal and stain-resistant classic bands, breathable perforated silicone sports bands, fashionable woven bands, and premium Horween hand-crafted leather bands. The Charge 3 Special Edition has an exclusive white silicone ports band with a graphite. Charge 3 in black with graphite aluminum case or blue gray with rose gold aluminum case will be available in the Philippines starting November 2018 for PHP 9,990. The Charge 3 Special Edition is priced at PPH 10,990. The accessories range from PHP 1,790 to PHP 3,190. Fitbit devices are available at Digital Walker, Beyond the Box, select Toby’s stores, iBOOK, iCENTER, Mobile1, Globe, Gadgets in Style, Hivemind, Lazada, Zalora, Timeline, The Inbox Store, iLiberty and Rnnr stores, and more.